Last week, three of our staff attended the Institute for Excellence in Christian Leadership Development hosted by Overseas International in Amman, Jordan. The Institute for Excellence provides much-needed resources for leaders of institutions working in a similar field to Pars, with the intention to strengthen leadership skills, organizational expertise and accountability. This year’s theme was Unconventional Models for Theological Education, which focused on innovative educational models in the MENA context. 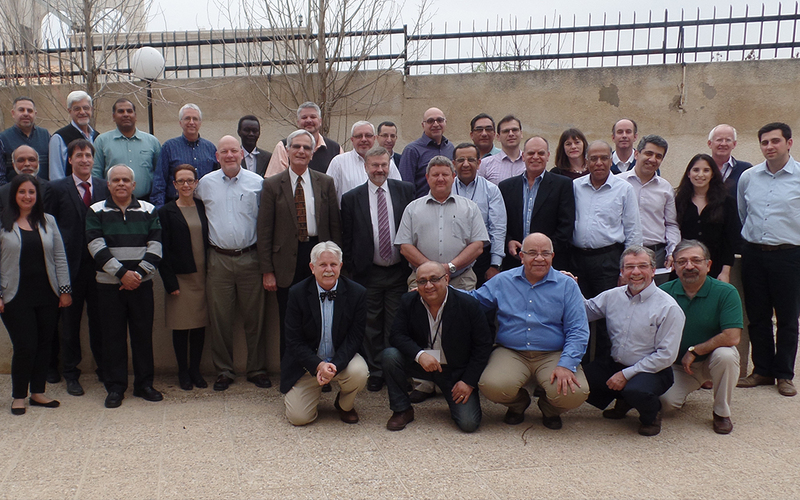 It was wonderful to gather together with leaders of other seminaries in the region, including our friends from Jordan Evangelical Theological Seminary, ETSC in Cairo and ABTS in Lebanon, as we prayed and reflected together on how to maximise the effectivity of our work. An issue that was discussed in length was the difference between adult-learning as opposed to child-learning. We considered the key characteristics of adult learners and how we can better respect these characteristics in the way we teach and run our program of study at Pars. We are grateful to OC for hosting yet another tremendously rich and stimulating event. We have come back home with lots to think about, and it is our hope that with the Lord’s strength and guidance, we can implement the right changes and demonstrate “reflection in action”!